October 12, 2017 - Like us now! Recently, we witnessed the launch of first ever wireless VR headset Oculus Go, which is targetting general consumers. Now Oculus is working on its new project called Santa Cruz. This project is almost complete and soon Santa Cruz — the new VR headset, will go live, according to the reports from Oculus Connect 4. According to sources, the new Santa Cruz controller is more likely an updated wireless version of Oculus Rift. At the top, it has an elastic strap, while the plastic on the back appears to be in a soft covering. The headset can be modified according to required adjustments. It has some upgrades in it, like more compact than the touch, easier to grip and new design adjustments. The grip and trigger buttons are still there to give you comfort while pressing them. 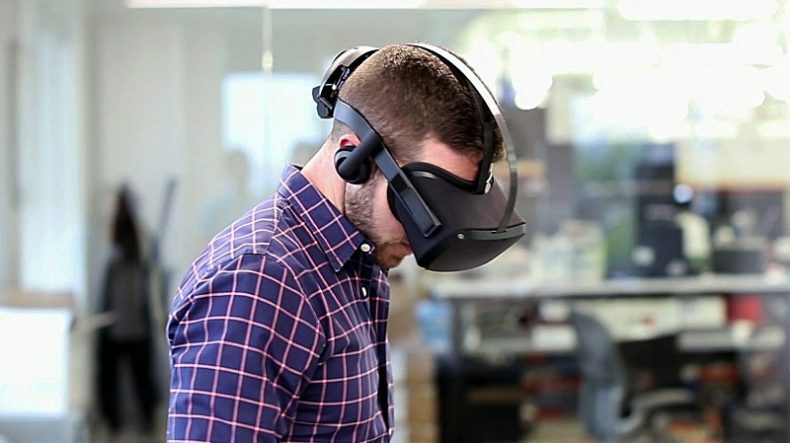 Demo version of the headset has already been revealed to some tech reporters, and their opinions about the new gadget are motivating. This headset will take you to the whole new world of virtuality i.e. if you are playing a game, you will feel like actually being a part of that game. 6DOF tracking is enabled in this gadget, which will make controllers of Santa Cruz be your virtual hands. The Santa Cruz also features 360-degrees view which will take you to the next level of the gaming ecosystem. Santa Cruz’s spatial audio tech will enable its users to listen to clear voice without any earpiece. Oculus Go seems to be an entry-level version because Santa Cruz is too much advanced. The major difference between the Oculus Rift and Santa Cruz is a wireless version and can be used without being attached to PC. Engineers who are developing Santa claimed that it will take you to the next level of virtual reality. This is a prototype stage and hopefully, the final version will be much more advanced than this. Oculus will start shipping its Santa Cruz headsets for the developers next year.